Just How CPU-Melting is Elder Scrolls V: Skyrim Played at MAX Settings? The fifth installment in Bethesda's long-running Elder Scrolls series took the industry by storm last Friday, earning an impressive aggregated review score of 95/100. Based on early estimates, Skyrim has shipped seven million copies worldwide across all platforms, including digital stores such as Steam. During a peak hour last Monday, Valve's platform alone recorded some 287,000 Skyrim players — greater than the combined peak activity of MW3, Counter-Strike, Football Manger 2012 and Team Fortress 2. We usually don't open our performance reviews with sales figures, but we felt compelled to illustrate the magnitude of Skyrim's launch because role-playing games rarely garner this type of attention. 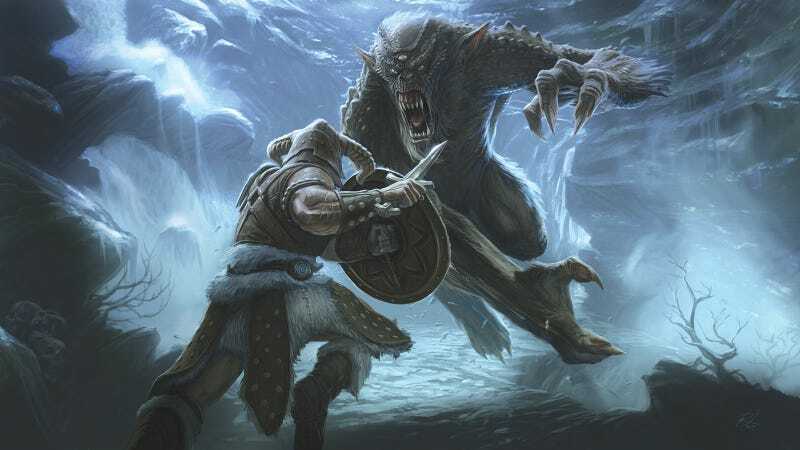 Although its popularity is undoubtedly aided by the cult-like status of the Elder Scrolls franchise, Skyrim isn't just a clone of its predecessors (we're looking at you MW3). Bethesda has made many gameplay refinements, especially to the graphics and animations — our area of interest. For its day, The Elder Scrolls IV: Oblivion had incredible visuals, leveraging advanced lighting and shader techniques such as HDR and specular mapping. In fact, before Crysis launched in 2007, Oblivion was arguably the most taxing PC game available. You'd have been lucky to see 50fps while exploring the expansive realm on high quality with a pair of ATI Radeon X1900 XTs (a $1,200 proposition at the time). We don't expect Skyrim to be that stressful, but we do have high hopes for its graphical fidelity. While it may not bring your PC to its knees, Skyrim promises to be the best-looking Elder Scrolls title to date with its newly developed game engine, called the "Creation Engine." Among other things, the framework lets Skyrim display greater draw distances and produce a more realistic world overall. Shadows can be created by any object or structure, tree limbs and the flow of water can be affected by wind, and other weather effects have been introduced, such as dynamic snow fall. Skyrim is quite demanding when running at max quality. When testing at 1680x1050, the HD 6750 was shoved below the 30fps threshold, while the HD 6770 and GTX 550 Ti barely made the cut. The HD 6790 and HD 5830 were about even at 38 and 39fps, while the GTX 460 and HD 6850 were the first cards to guarantee a mostly lag-free experience. The HD 6870, 6950 and GTX 560 Ti all managed 58fps — a decent showing for two of the cards, but we're disappointed by the HD 6950. That said, the GTX 570 was only a fraction faster at 60fps, while the HD 6970 managed 62fps. Nvidia's current and previous-generation single-GPU flagships were the most impressive, managing 69fps and 70fps. When cranking the resolution up to 1920x1200, most of the lower-end products struggled to deliver playable performance, or in the case of the Radeon HD 6770 and 6750, completely bombed. Even the HD 5830 was quite sluggish with 34fps, while the GTX 460 failed to break 40fps. If you want to exceed 40fps, you'll need an HD 6850 or GTX 560, while 60fps+ will require an HD 6970 or better. To enjoy Skyrim on its maximum quality setting at 2560x1600 or higher, you'll have to invest in some serious rendering power. The GTX 580, which was by far the fastest graphics card tested, managed 51fps, while the GTX 480 slipped to 43fps, followed by the HD 6970 at 41fps. Skyrim is said to be a heavily CPU-dependent game and, as you are about to discover, this is true. We hear the game offloads shadow rendering to the CPU and as a result, ultra quality shadows really hammer the processor. The game appears to only be optimized for quad-core processors, as just four threads of the Core i7-2600K were active when playing. However, of those four threads, only one reached between 90–100% while the other three worked at around 30–50%. This means a decent dual-core processor should have no trouble playing Skyrim. This is possibly the first game we've tested that truly stresses the i7-2600K. Reducing the chip to 2GHz lowered the GTX 580's average frame rate to just 44fps. Moving from 2GHz to 2.5GHz provided a 25% performance boost, and from 2.5GHz to 3GHz allowed for another 16% gain. We yielded 14% more performance when jumping to 3.5GHz and then another 11% moving up to 4GHz. In other words, if your system is struggling to keep pace, you might want to decrease the shadow quality and/or overclock your processor. We were surprised by two results on the graph above: the Core i7-3960X's 20% performance lead over the 2600K, and the AMD FX series' lousy showing. The FX-8150 and FX-6120 averaged just 50fps, making them just 1fps faster than the Phenom II X6 1100T, which was also sluggish. By comparison, the i5-750 averaged 56fps, the i3-2120 delivered 57fps and the old i7-920 managed a solid 59fps. Meanwhile, the more modern i5-2500K was sitting pretty with a respectable 67fps — 1fps below the i7-2600K.